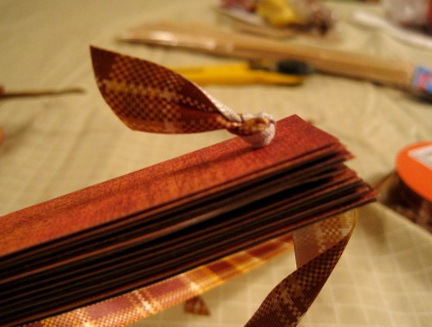 Decorative twigs will look good at the head of the crown and ribbon will look festive. 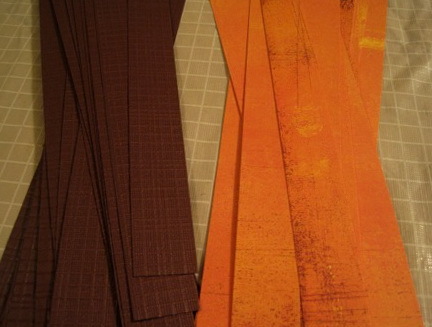 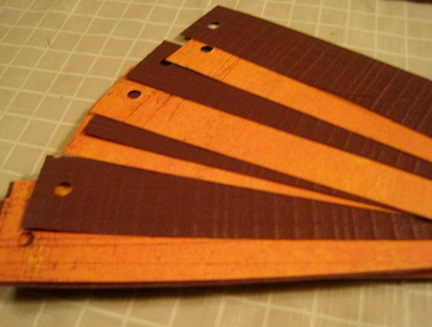 The paper should be cut into small strips, color is better to choose one tone. 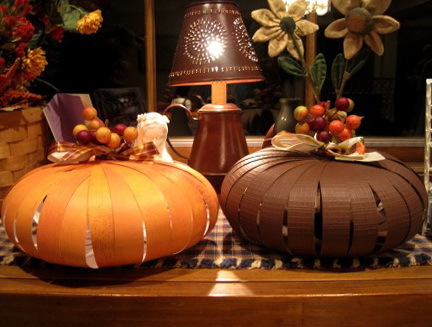 In each strip to make two holes with a hole punch, then seal the pumpkin. 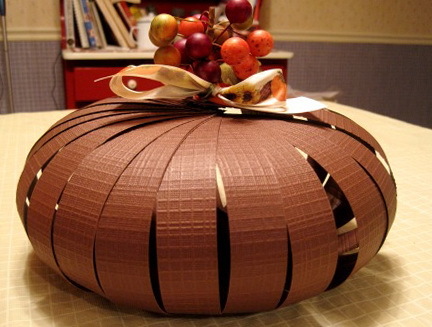 Through the hole to push the ribbon to hold together the pumpkin together. 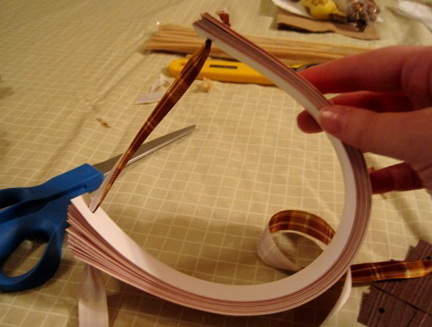 Are now most important thing is to stretch and tighten the ribbon and knot. 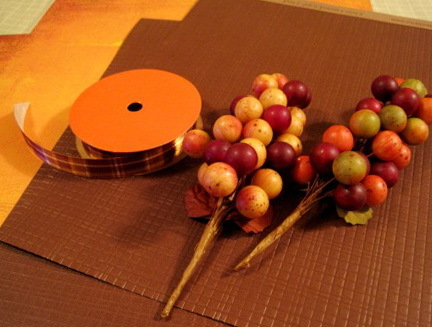 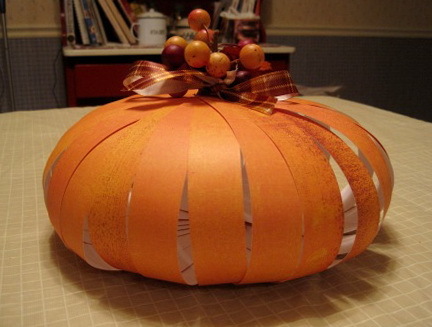 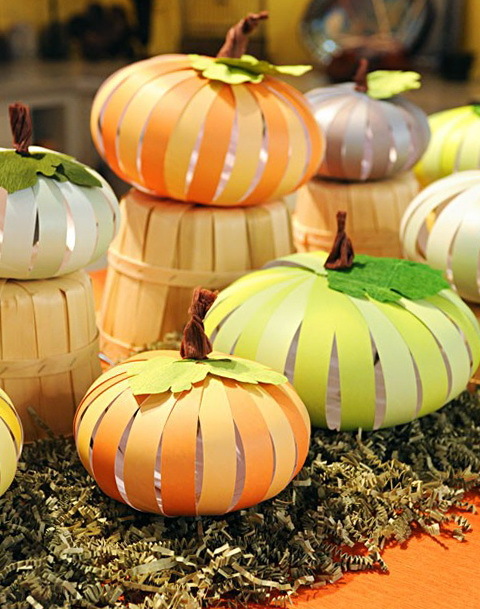 Can be stuck on top of a beautiful branch with berries, and got such beautiful paper pumpkin.